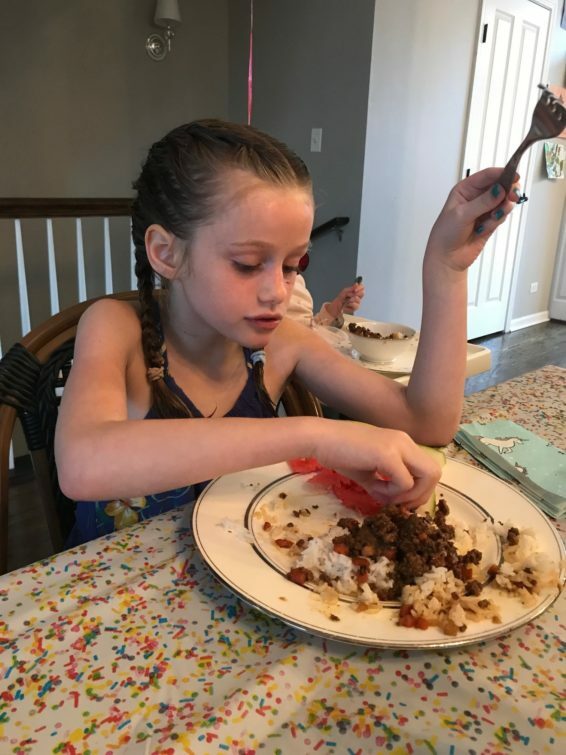 For Vivian’s birthday earlier this month I made her favorite dinner: Asian Beef. We have this super easy meal at least once a month as it is one of the few dinners all the kids seem to enjoy. In that sense, it is a unicorn/winning lottery ticket/pot of gold. 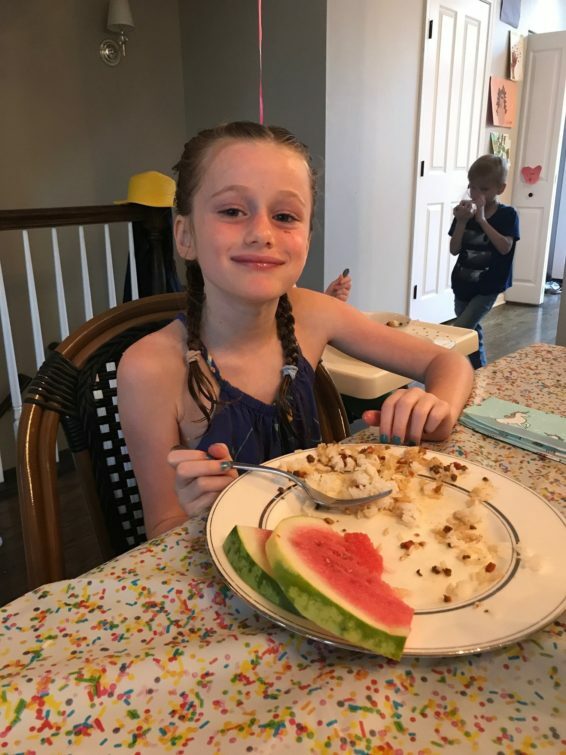 So many times I’ve thought to myself, “I really should share this recipe on Homemade Mothering.” But, in all honesty, the kids eat it so fast that I seriously never have a moment to photograph it. It isn’t a very elegant looking dish, anyway, so you’re not missing much by missing a photo. Just make it for your kids. Recipes for something like this abound on the internet. But, I felt compelled to create my own because A) we like vegetables and B) a lot of recipes call for a lot of sugar. What can I say…I like my version best. Also, I’m not quite sure what to call this recipe. Asian Ground Beef? Korean Beef? I question how “Korean” this very American feeling dish is…and Asia is a HUGE place so it seems silly to give it such a generic term. I want to be PC, but my kids call it Asian Beef so I guess that’s what we’ll settle on. Swirl a bit of oil in a large skillet set over medium heat. Drop in the veggies and stir for a minute or two. Add ginger and garlic and heat til fragrant. Add ground beef and cook until browned. Meanwhile, stir brown sugar, soy sauce, sesame oil and Sriracha together. Once beef is cooked through, pour in sauce and continue to cook for another minute or two.